Chicago's government has thrust a huge debt upon it's citizens. Chicago has unfunded pension and medical promises of $33 billion, according to the Wall Street Journal. Over a number of years, the union leaders funneled big, campaign donations to politicians. In return, Chicago's public employees received lavish benefits. In the short-run, who cared if there wasn't enough money being invested to cover the pension and medical promises? Nearly nobody, and certainly not politicians, union chiefs and the public employees. Always remember, popularly elected politicians always please their voting constituents at the expense of future taxpayers. 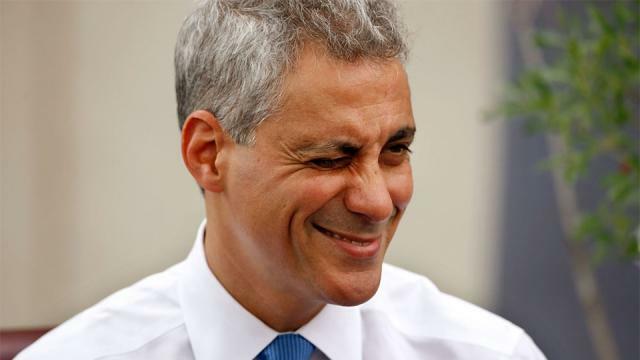 Hence, without sufficient money to pay for the pensions of Chicago’s police and firemen, Mayor Rahm Emanuel proposed a gigantic, property tax increase. The tax will bring $588 million in Chicago to be phased in over four years to cover the pensions. Thus today’s property owners will be coerced to pay for the past political manipulations creating Chicago's pension debacle. These Chicago manipulations are a universal political ploy – a modern-day taxation without representation, which is incredibly destructive to America’s future. Other unpaid tax bills include Social Security and Medicare, which are also being obliged upon our children and grandchildren.